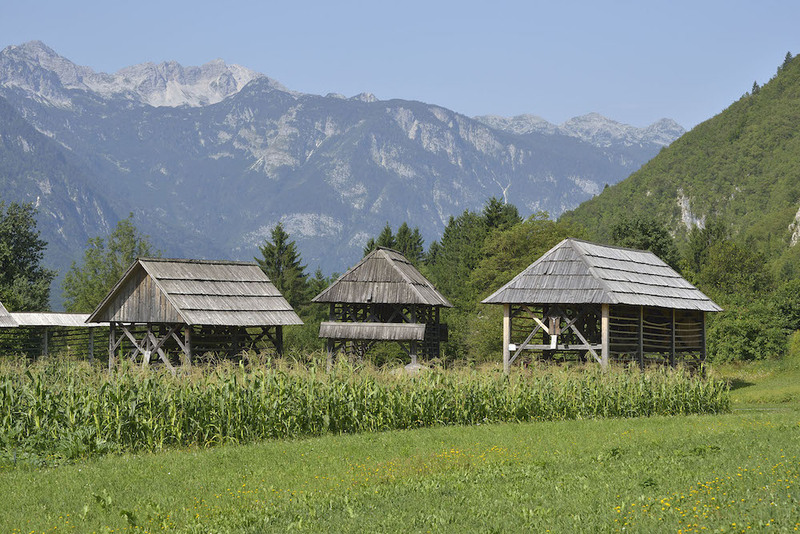 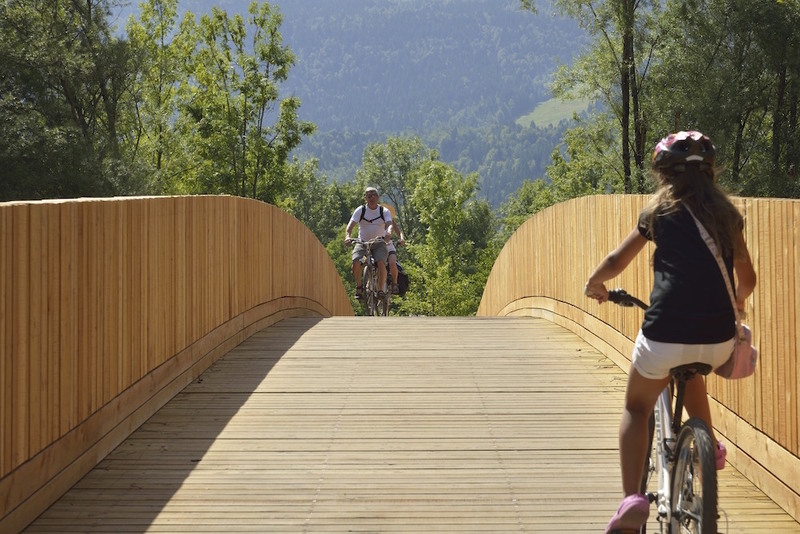 The bicycle bridge across the Sava River is part of the touristic bicycle path that connects Bohinjska Bistrica village with the Bohinj Lake and leads further towards the mountains. 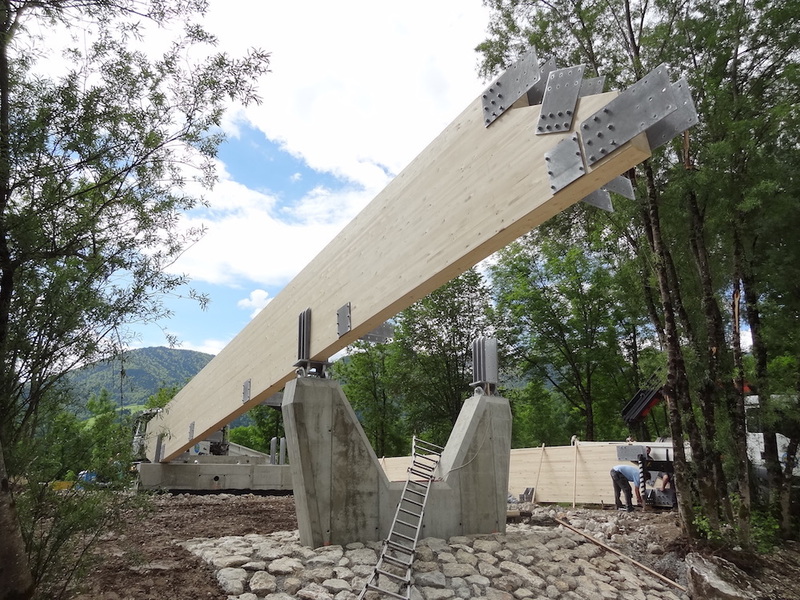 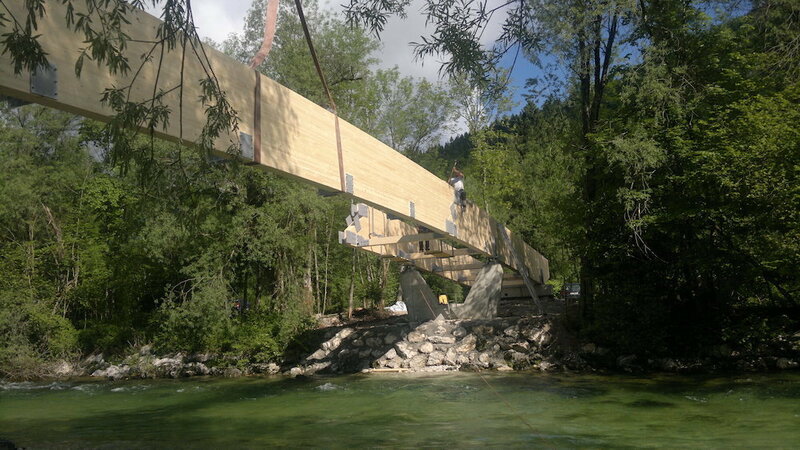 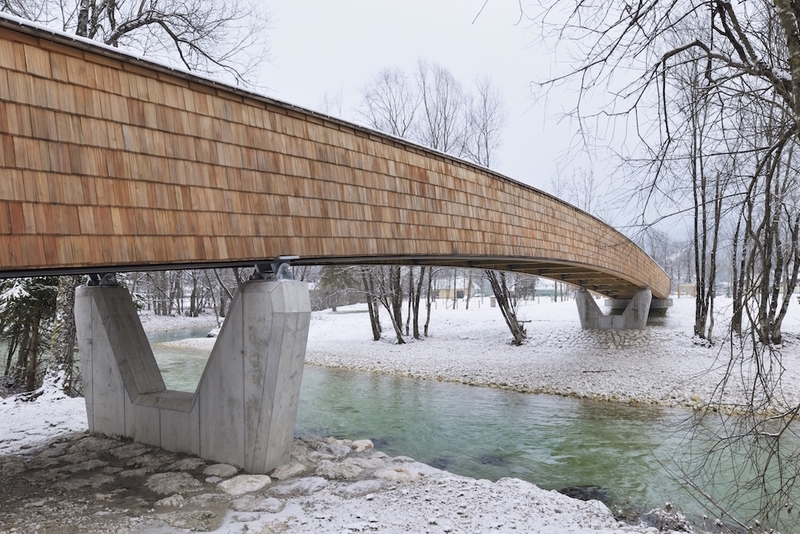 The new bicycle bridge is attractive functional and visual complement to the sensitive environment of the Bohinj area. 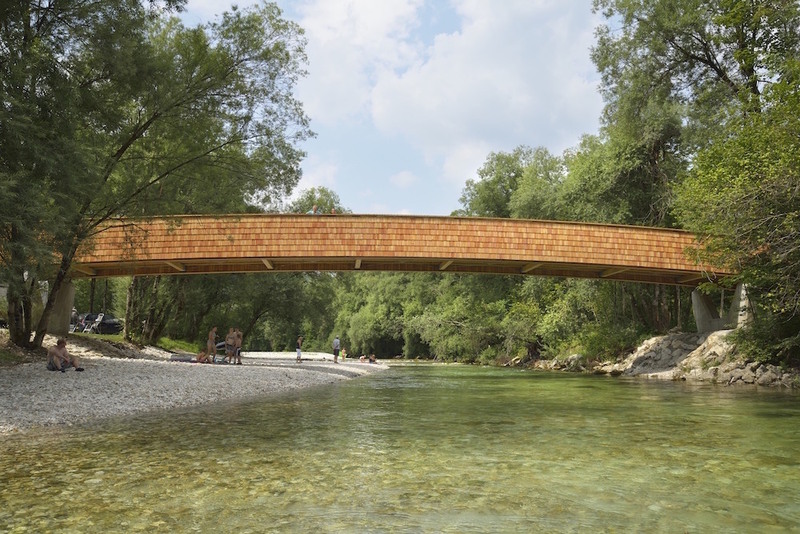 The choice of materials, inventive structure and the architectural design itself contribute to the feeling that the new bridge belongs there. 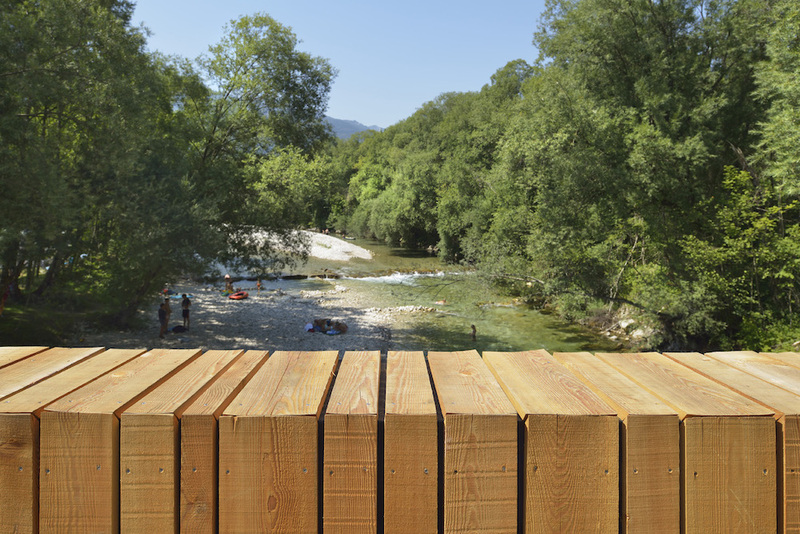 The nature of the river, the two banks, connected with the bridge and the newly established path are the three main elements that determine the layout of each bridge. 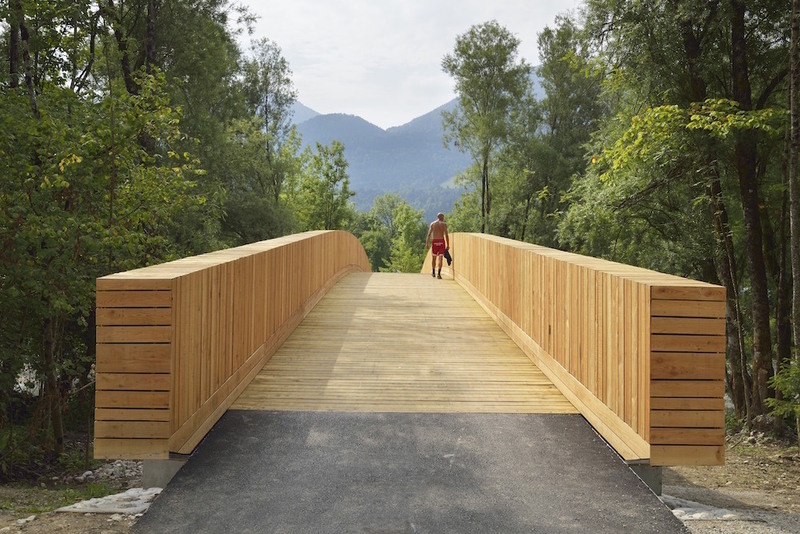 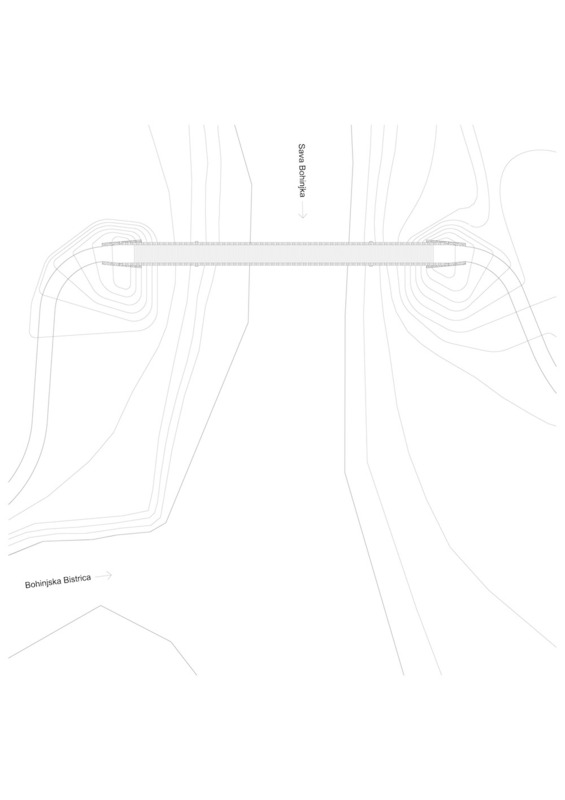 A new bridge thus establishes new spatial relationships by creating a path where there once was none. 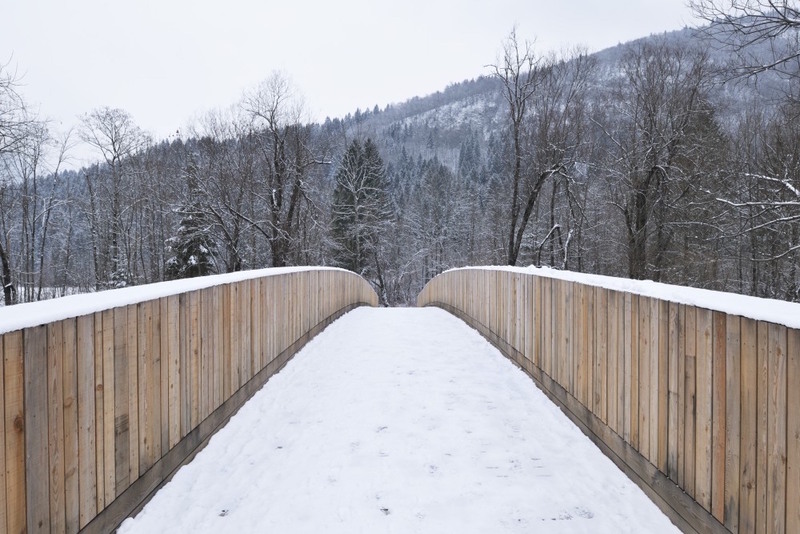 This sounds so simple, yet it touches upon so many layers of meaning, and that’s why throughout the history, bridges have always had special significance for the people. 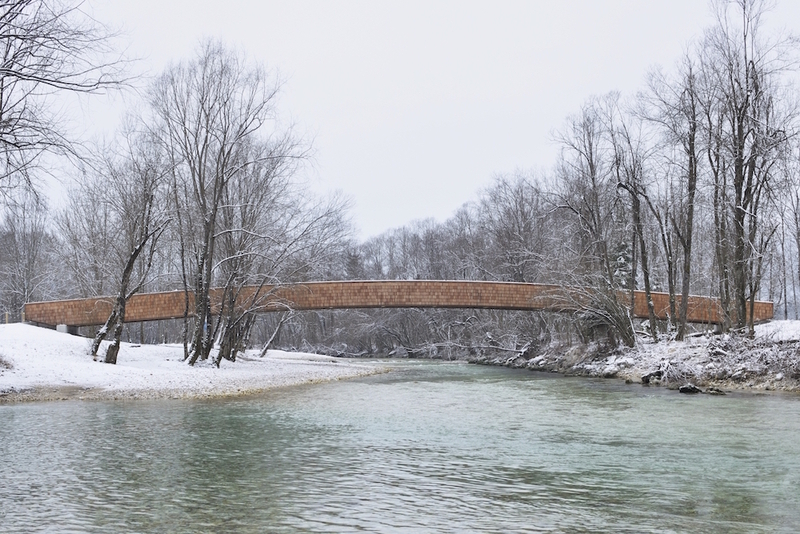 The new footbridge spans the river in a long elegant curve. 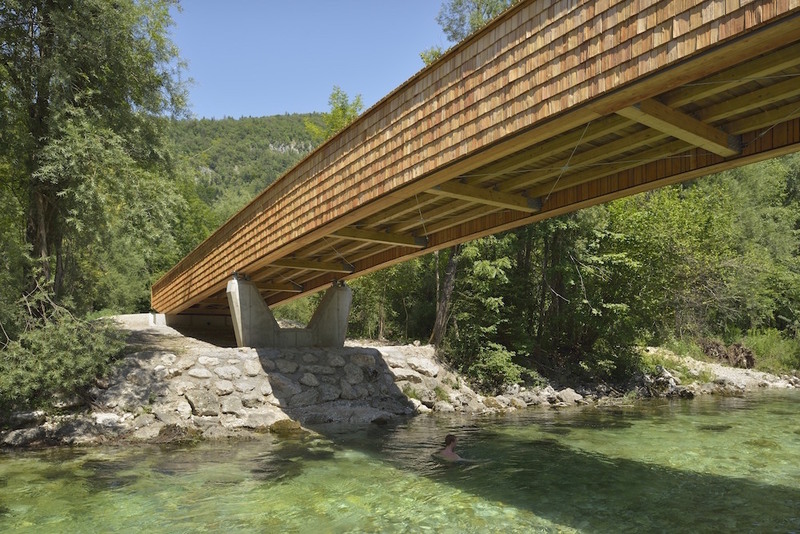 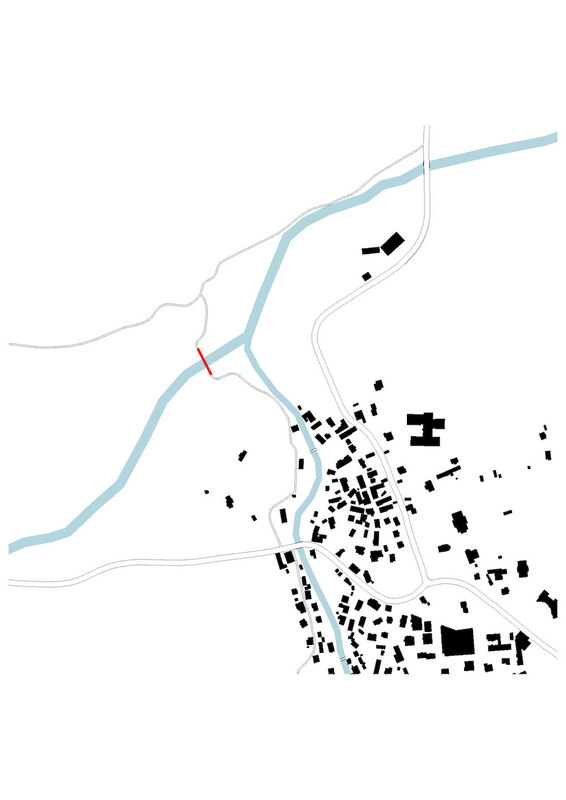 Sava is a river with a fluctuating rate of water flow so the span and the geometry of the bridge have to accommodate its flow at the times of increased river discharge. 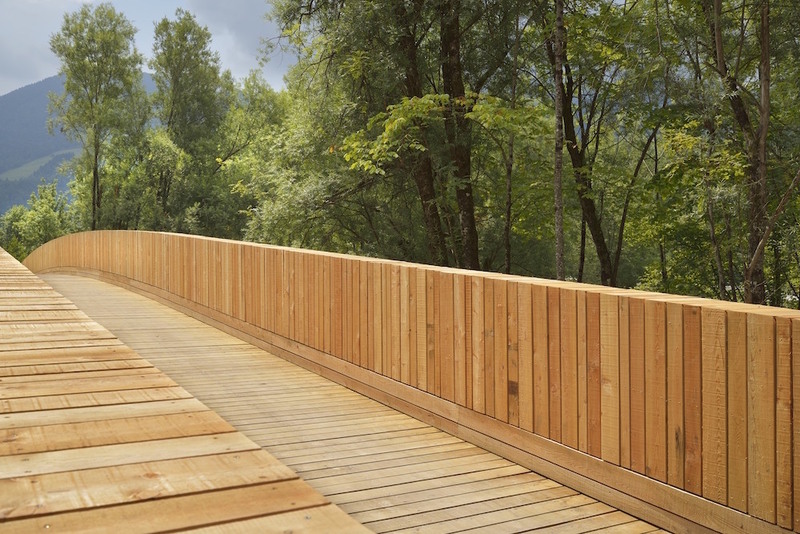 The width and the slope of the bridge reflect its use as a part of a bike path. 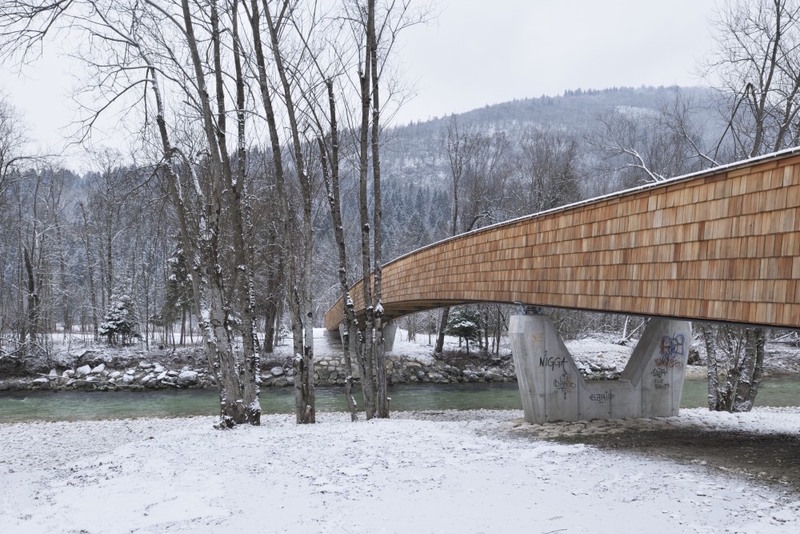 The bridge spans over 53.6 m. It sits on both banks, while the two V-shaped concrete piers support the large-span, permitting the slim and rational design. 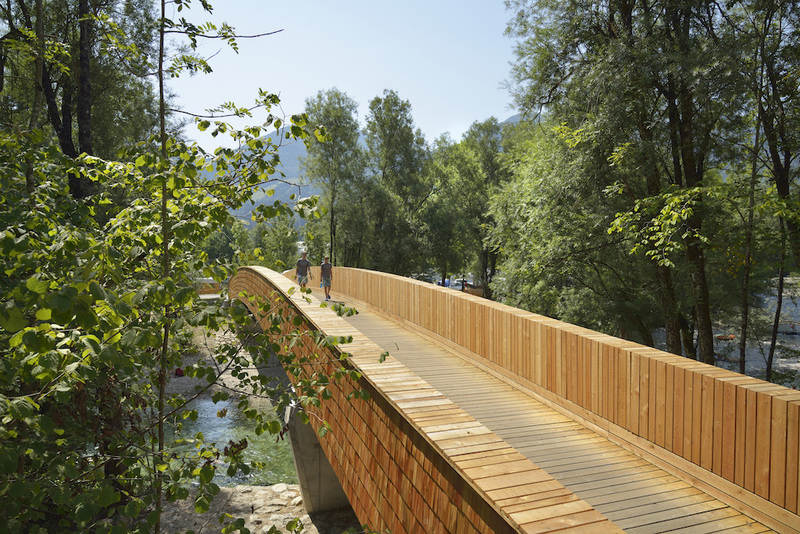 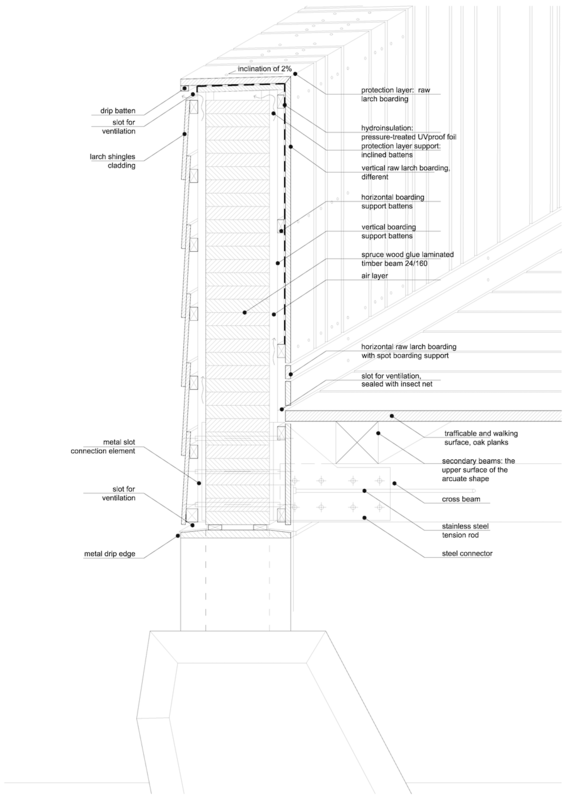 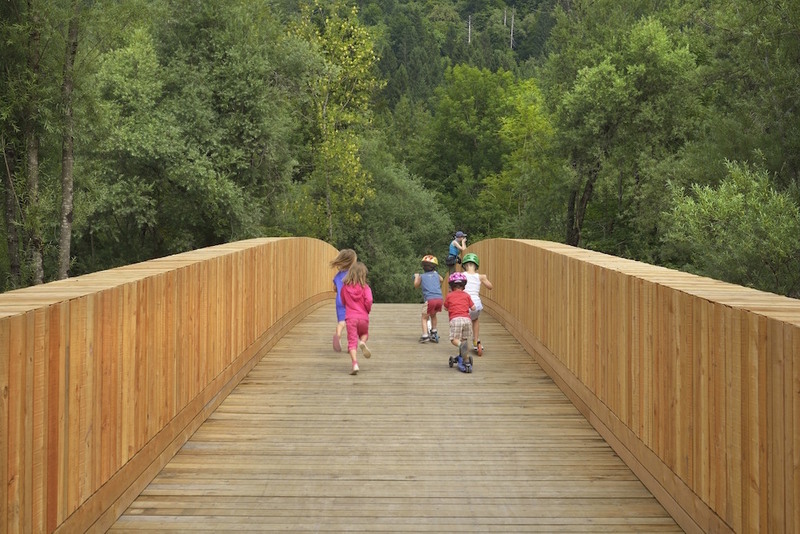 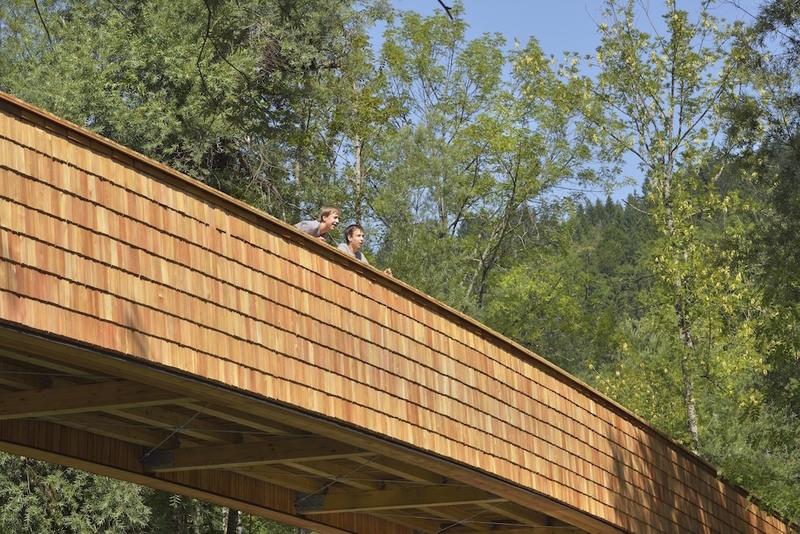 The footbridge is constructed out of two laminated timber girders, serving also as railing. 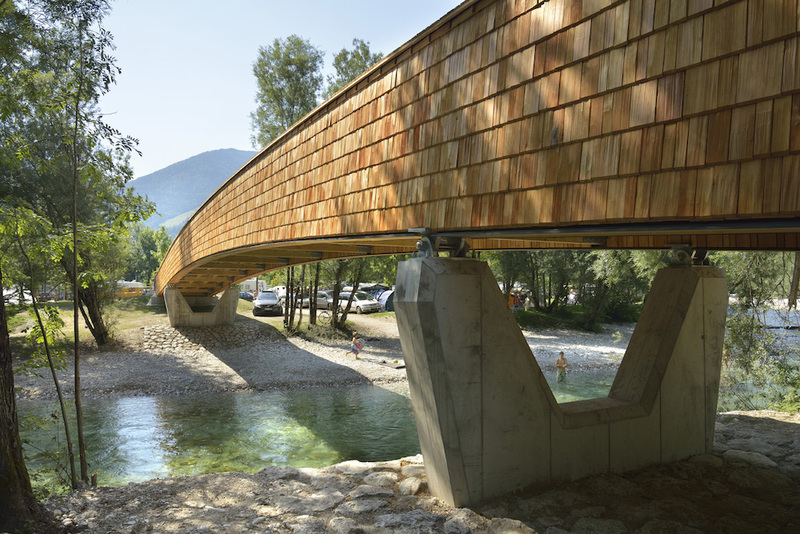 The timber girders are made of laminated spruce and protected by a coating of larch boards and shingles. 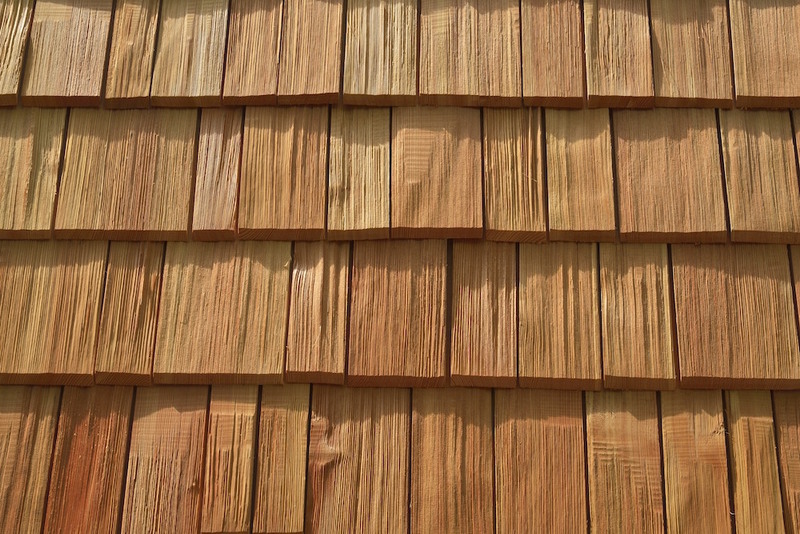 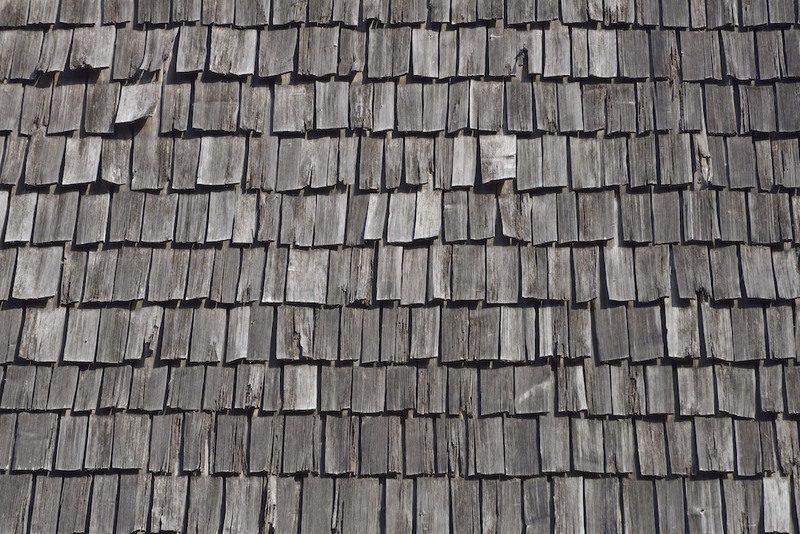 Timber is a logical choice of building material in the region while the method of stacking wood siding and use of shingles are a contemporary interpretation of traditional regional architectural ideas. 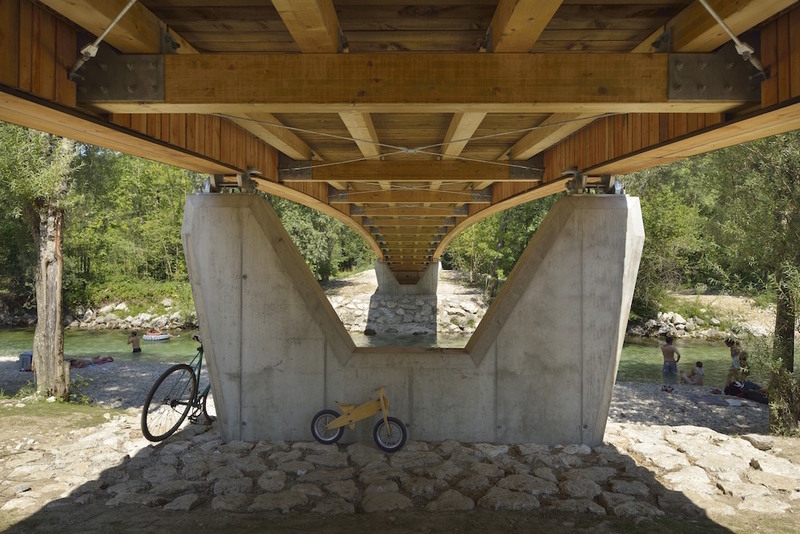 The new bicycle bridge over Sava River in Bohinjska Bistrica was immediately adopted by the locals and tourist and it seems as if it has always been part of the beautiful scenery.